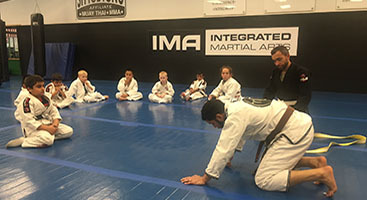 Your kids will love the Kids Martial Arts classes at Integrated Martial Arts! From giving kids an amazing workout that’s fun and rewarding, to helping kids develop bully-proof self-defense skills, there’s nothing quite like our Kids Martial Arts program ! In no time at all, you’ll start to see your child’s inner champion shine through. Sign up for our martial arts for kids and your kids will thank you! 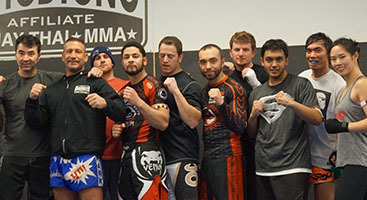 Exercise your mind and body while learning valuable self-defense with the martial art that is developed with the concepts of leverage and technique at its core, Brazilian Jiu-Jitsu. Brazilian Jiu-Jitsu classes are one of the best ways for a smaller, weaker opponent to use their mind to take control of the situation. There is simply no better way to lose weight, get into shape and learn one of the most exciting and unique martial arts in the world today than at Integrated Martial Arts! The Muay Thai Kickboxing classes at Integrated Martial Arts will have you burning as much as 800 calories with each class! From the very beginning of your time with us in our martial arts classes you’ll feel yourself growing inside and out. Are you looking to get in shape? Have you been trying to lose weight and it’s been challenging? Do you Lack energy and feel tired? Time to make a change. Today! You need Kickboxing Boot Camp! Our hybrid cardio Kickboxing and high intensity interval training program will teach you how to take control of your fitness once and for all!